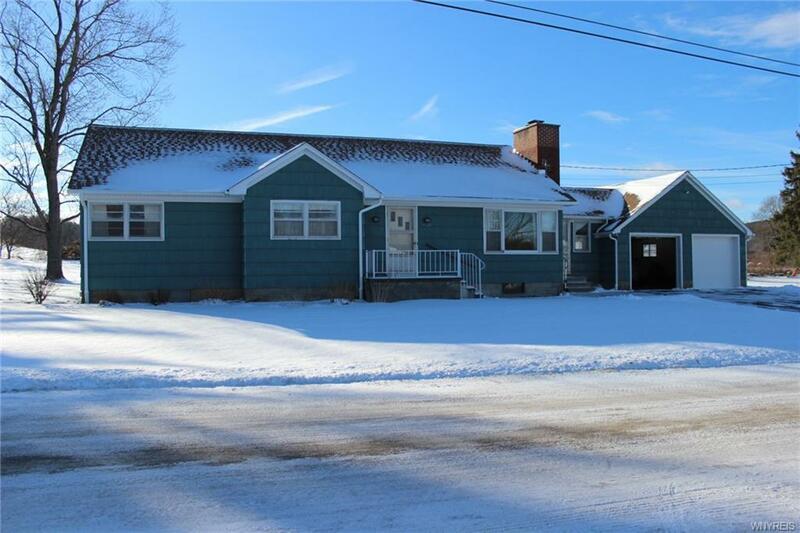 Well cared for ranch style home on large lot just outside the village of Cuba-Attached 2 car garage with huge heated breezeway/mudroom. Bright eat in kitchen with walk-in pantry. Nice size dining room with huge picture window. Large living room with wood burning fireplace. Three nice size bedrooms with closets. Master bedroom has cute 1/2 bath. Beautiful hardwood floors throughout. Lots of storage. Full dry heated basement with lighted laundry area. Newer furnace, 1 year old total roof replacement on house and garage, all new soffit, facia, seamless gutters and downspouts. 2 new sets of concrete stairs, sidewalks and railings in excellent condition. Extensive drainage around the structure completed about a year ago as well. Private huge level back yard with awning behind garage. Directions To Property: Route 305 S To Bradley Avenue - House On Right - See Homestar Realty Sign.